Yuta Togashi thought he had problems dealing with one delusional girlfriend in the person of Rikka Takanashi, but now things are about to go totally insane as his FORMER "one true soul mate" from when he was a chuuni himself returns with a vengeance! So how bad is Satone Shichimiya's re-entry into Togashi's chuni-verse likely to be? Let's just say that she's so epically off the deep end of the chuni-scale that she prefers to use the name Sophia Ring SP Saturn VII and that she'll joyfully tear Togashi's real world to pieces in order to get him back in her imaginary one! Some girls just want to have fun and some want to break down the walls between their boyfriends and themselves. But when a girl's idea of fun is breaking down the wall between their presumed boyfriend and reality, retreating into a fantasy world might just be Togashi's best option. Especially since Satone knows where ALL the skeletons from his past are buried. 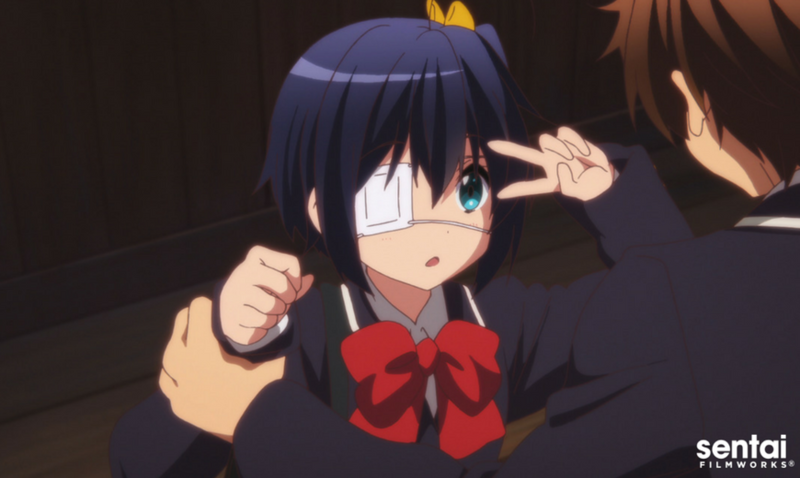 Toss Rikka's equally delusional friend Sanae into the mix and girl-crazy takes on a whole new meaning in LOVE, CHUNIBYO & OTHER DELUSIONS - HEART THROB! From the moment twelve-year-old Misaki Suzuhara first arrives in Tokyo to live with her aunt, she finds herself swept away by the amazing world of Angelic Layer – a fast-paced high-tech game where dolls called “Angels” are controlled by the thoughts of their operator, or “Deus”. Discovering that her new friends are as interested in Angelic Layer as she is, Misaki builds her own Angel, Hikaru, and begins competing in battles where will and determination count far more than size and strength. The competitions are going to be fierce and, with the national championships looming on the horizon, you can bet that not everyone Misaki meets will be on her side. Can Misaki handle the pressure of non-stop competition while struggling to adapt to life in an unfamiliar city? From the amazing minds and pens of Japan’s legendary all-female creative team, CLAMP, it’s the coming of age adventure that’s become an all-time anime classic – ANGELIC LAYER! Betrayed by the shogun and forced to flee to Edo, the Shinsengumi are fighting a desperate battle; not just for their lives, but for their very souls and the ideals they swore to stand for. Now, as Harada, Shinpachi, and Saito launch a dangerous thrust to fight their way out of Koufu, Chizuru must decide whether to hold true to her own oath to Hijikata. Will she stand guard over the wounded Kondou and Okita, or will she succumb to the hopelessness and disillusionment that has shattered their ranks? As the Fury's advance, Hijikata must face the greatest test of all: can he keep the Shinsengumi together? Can the powers to be gained from the Water of Life ever justify the nightmarish price? As the fires of war threaten to consume Japan, the last hopes of salvation lie in the courage and steel of a chosen few in Hakuoki: Record of the Jade Blood!